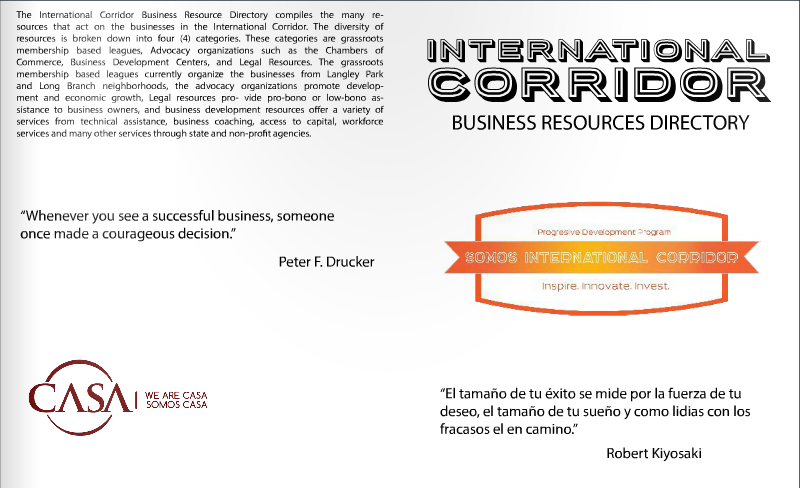 The International Corridor Business Directory is designed to give entrepreneurs and local and independent business owners a road map to connect with the services that will help start or grow their business. Starting a business lists the Economic development resources that offer a variety of support from technical assistance, business coaching, access to capital, workforce development services, Legal Resources and Permitting provide pro-bono or low-cost assistance to business owners as well as help to navigate the complicated permitting process in both Montgomery and Prince George’s Counties. Membership-based organizations currently organize and advocate for the businesses from the Langley Park and Long Branch neighborhoods, they promote development and economic growth. 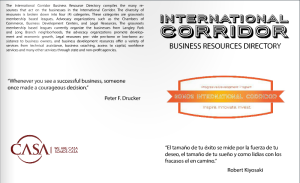 For a list of the Business Resources click here.